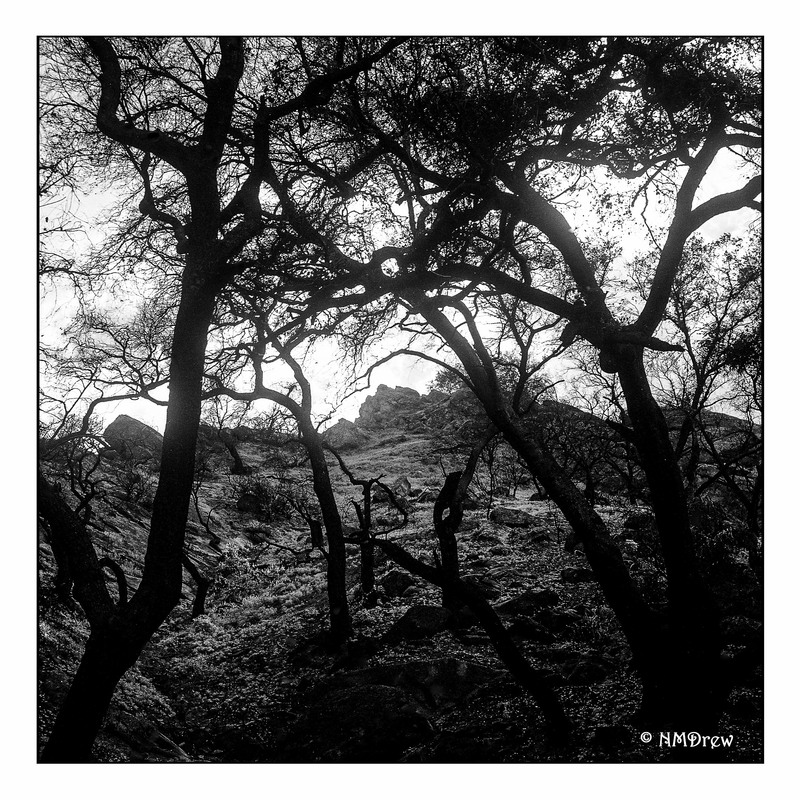 This entry was posted in Glimpses and tagged Agfa Isolette, film, fire, oak, photography, trees. Bookmark the permalink. If you know the landscape of the California chaparral, you can. The mountains are very clearly defined when a fire burns through everything. Here, they are. Once the new growth begins, low shrubs will soften the edges of the mountains. Oak trees, too, depending on variety, are often evergreen in SoCal. Fire is part of the plant life cycle here, so when there is drought and fire suppression, it gets pretty ugly when fire occurs. This is about a mile from my house . . .